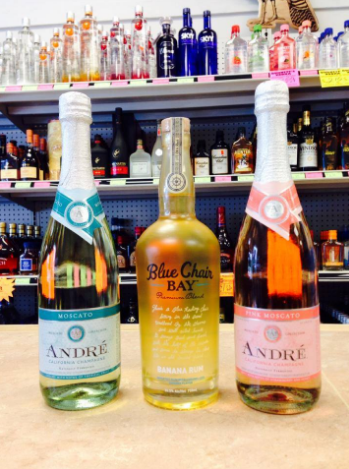 Brookhaven Package Store serves a great collection of beer, liquor and wine in the Brookhaven Mississippi area. This area is known as the “A Home Seeker's Paradise” with Victorian neighborhoods, charming landscapes and architecture. The liquor store is situated right next to the Country Club of this storybook town. BPS is known by it’s customers for providing insightful recommendations as well as specialty drink recipes. With a passion for the industry, Brookhaven Package Store strives to provide customers with top quality products and customer service. What about CCS made helped them choose? When considering a Point of Sale System, BPS wanted a system that adhered to the state's strict liquor store regulations. Thus, a major concern for them was violating the law by selling to minors. Upon finding CCS they were pleased to discover a POS system that provided safeguards to their concerns. With CCS they were able to implement a 2D Barcode Scanner that can validate drivers licenses. An additional security measure included fingerprint readers for the employees. Cafe Cartel’s Liquor Store Software comes with a database of over 10,000 liquor store items and a 6,000 recipe search tool of drinks. Their powerful inventory system is perfect for split case pricing, reconciling, reporting and liquor store oversight. To learn more about Cafe Cartel’s liquor store software call 866-973-8099. A team of support professionals are ready to review your needs with you! Go ahead and request a quote today! Tutti Frutti Frozen Yogurt - Nigeria - What POS to Choose in Africa? Located in Nigeria’s capital city Abuja, is the ever popular Tutti Frutti Frozen Yogurt. Known for hosting notable public figures such a politicians and Miss Nigeria, Tutti Frutti is a hotspot for social activity and delicious froyo! 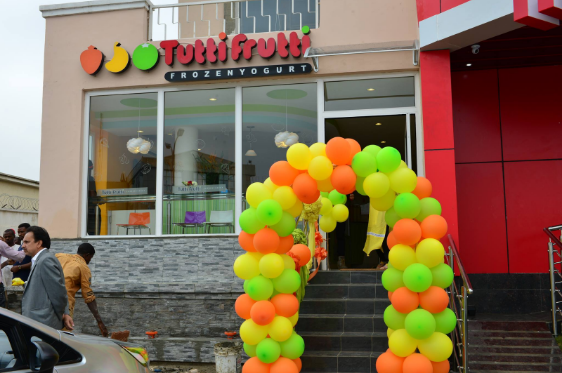 Tutti Frutti originally started in Southern California before expanding to over 580 stores worldwide, including Abuja. This specialty froyo shop is dedicated to providing the highest quality frozen yogurt on the market today. 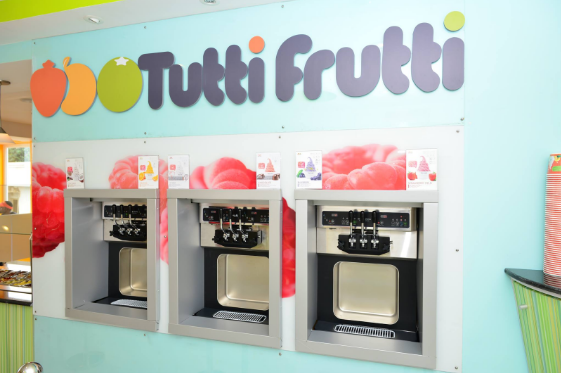 Upon expansion into Nigeria, Tutti Frutti required the best frozen yogurt Point of Sale System that provided a uniform solution to it’s operations. This led Tutti Frutti Abuja to search for a POS that is serviced worldwide. With over a thousand of installation across the globe, Cafe Cartel POS met more than just this requirement. With more than 14 years of Frozen Yogurt experience Cafe Cartel supplied them with a full solution designed for quick and easy installation. Selecting a POS this established gained Tutti Frutti years of industry experience and knowledge. CCS POS includes features such as integrated scales, loyalty programs, inventory, reconciling and employee management, to name a few. Though packed with features, CCS proved to be an intuitive and user friendly system for Tutti Frutti Abuja and their staff. By choosing a POS system that is designed to optimize operations and control costs, Tutti Frutti was able to save money and build their business. This ultimately allowed them to expand to two more locations in Nigeria! To see how CCS can help your frozen yogurt shop succeed too, call 866-973-8099 or request a quote today! Located in Lisbon Maine, along the Androscoggin River, is The Cupcakery. This delicious bakery was cooked up in 2014 with a mission more sweet than most. The bakery was opened with the same mission in mind as Opportunity Enterprises and the Joyce Dubay Center which provide quality services to adults with cognitive and intellectual impairments. Joyce Dubay was the grandmother of the owner. Her love of decorating beautiful cakes ultimately inspired The Cupcakery. The Cupcakery not only serves cupcakes, but takes custom cake and cupcake orders for events, weddings and birthdays. They provide daily breakfast options in the mornings and lunch options in the afternoon; which includes a wide array of sandwiches and salads. Don’t want to to make the trip down to the shop? Not a problem! The Cupcakery provides delivery services as well! What helps make a difference? As you can see, there are many fabulous aspects about this business. So how do they make all of these conveniences and custom orders simple in an operational sense? The Point of Sale system. A paper written system isn’t adequate compared to a POS. And a POS without features designed around bakery operations isn’t very effective and can be costly in the long run. Cafe Cartel provides a powerful solution specifically designed for bakeries. CCS has the features necessary for The Cupcakeries custom cake orders. With CCS they are able to select the size, fillings and decorations for the order. This includes catering, house accounts and scheduling as well. Take Production as an example, you can see this demonstrated in the following video. With CCS, The Cupcakery is able to utilize portion and recipe control for their inventory. It’s features can accommodate their delivery needs and they gain access to all the standard features that a Point of Sale should have. Such as labor management, employee time clock, reconciling and reporting. 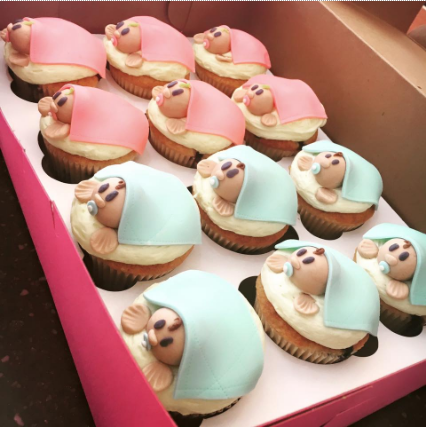 With how user-friendly CCS is, The Cupcakery can focus on what matters most to them; making people smile with freshly baked goods. Investing in a POS should be a carefully considered decision. You’ll want a solution that will remain effective in the long run and suit the needs of your business model. To review your needs with us, please call 866-973-8099 so that we can provide a system tailored to you. 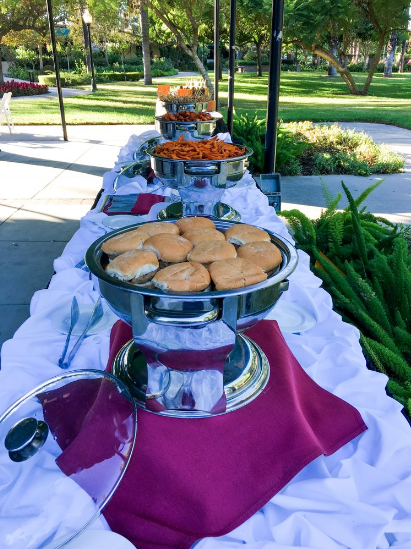 Pickwick Gardens is a beautiful event location and conference center in Burbank, California. 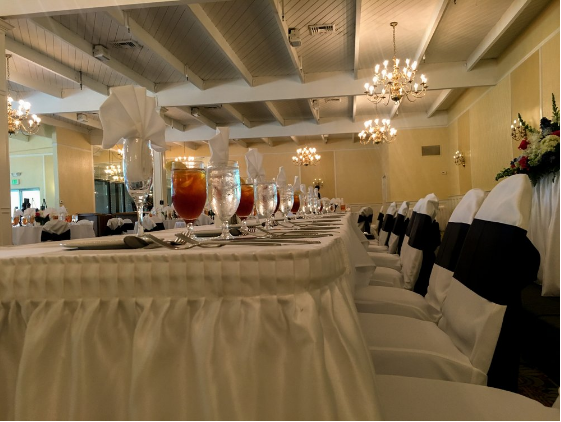 Located on two and a half acres of gardens and trees, Pickwick is an excellent choice to host an unforgettable special event. Whether it be weddings or corporate meetings, Pickwick has all the resources to make your vision a reality. Pickwick Gardens is also a part of Pickwick Ice (ice skating arena) and Pickwick Bowl (a bowling alley). These additions make Pickwick a center for fun gatherings. What sort of setup is your location going to be? Is it a multi location restaurant establishment? Is it an event center, a conference center? Perhaps a theme park, amusement park or waterpark? Is it a mini golf location with multiple restaurants, or a game center with different bars at each area? Pickwick’s location was one of these, with it's needs requiring a variety of features. This is their story with setup. Pickwick has a particular set up different than many. It is one location, but really three different restaurants. It was a bar, an ice cream parlor, and a restaurant. So when setting up the menu, as an ice cream shop, you wouldn't want to have the layout of a bar. You wouldn't want to ask the kid at the ice cream rink, for that Rum Raisin, did you want Bacardi or Well? So the breakdown of the menu was a bit more than standard. The modifications for happy hour, the prompts. The level of service had to allow for multiple features of usually different setups, all included in one place. Each location had it's own business hours, it's own set up of happy hours. Additionally, each location had a different setup for how things were performed: cashier, server, bartender. Each position demanded different settings of the software. Dual cash drawers for bartenders were included, each one accessing their cash drawer during their shift, this prevented theft and ensured accountability. So for us at CCS, this meant compartmentalizing the roles and procedures of each location within the superstructure. The menu's were compartmentalized so that the locations each saw only their menu, that their printers would print to prep if need, and that the happy hour settings applied to the proper products. Each staff type was entered and received their roles for the job they were working, staff can even sign on as more than one job type, to give them both appropriate pay rates as well as authorities while working their given job. To receive more information on how CCS can support your business structure, call 866-973-8099 to speak with an industry consultant! We have a team of trained professionals who can review your needs with you so that you get the best POS solution for your business. 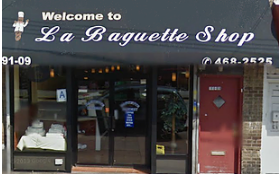 Established in 1991 is La Baguette Shop, a Caribbean-American bakery located in New York. With three locations spanning the state, La Baguette Shop serves fresh breads and pastries from family recipes that have been passed down for generations. 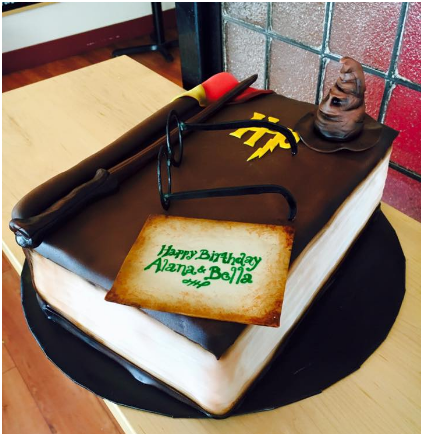 They pride themselves on providing their community with authentic desserts for all to enjoy. 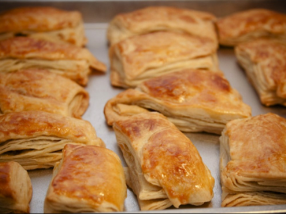 Famous for their Haitian Patties, locals flock to this wholesome bakery. The demand of local restaurants and bakeries have become increasingly popular over the years. True Foodies will rarely set foot at a major chain bakery as they desire local, authentic and quality food. La Baguette Shop is a treasure to New York locals and visitors alike. La Baguette Shop was open for some time before upgrading their POS system. As they grew, so did their needs and the POS they were using was proving to be a hindrance rather than a helpful tool. They required a more sustainable system that provided quality and long term usage. LBS knew all too well the effects of poorly made product and how it can impact the flow of their business, ultimately taking a financial toll in the long run. Cafe Cartel Systems provided La Baguette shop with a superior system at an affordable price. CCS met all of the bakery’s goals so that it did not compromise on their needs or desires. Since their initial purchase, the bakery has expanded and uses CCS at all of their new locations. CCS is a passionate software company in the industry that is dedicated to the success and liveliness of their customers. With a team of support professionals, CCS is there for their bakers even after the purchase; providing them with updates, trends and industry requirements. To secure your bakery with a proven POS solution call 866-973-8099 to review your needs with an industry consultant or request a quote today!